Creative cloud is essential for any creative person. 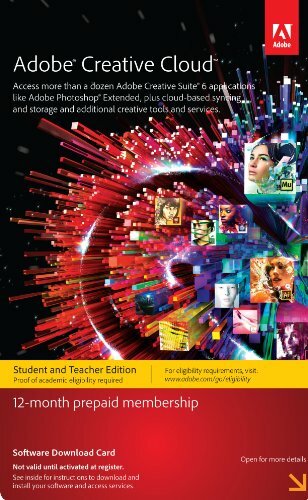 Although I do miss not having to pay a monthly subscription, Adobe helps make the program affordable to students with a discount. I also appreciate how I can use a wide range of their programs with the subscription, not just Photoshop, Illustrator, and InDesign. It's been helpful to be able to experiment with different programs while I learn about creative work on the computer. These programs make designing easy and are excellent quality for anyone who wants to produce creative work.